The EFL Championship, England's second tier football league has gotten off to an unexpected start with Leeds United currently sitting on top of the table. Neil Warnock's Cardiff side had a 100% record after five games, as the Welshman side shared the spoils in a tricky test against Fulham and following a 3-0 defeat to Preston, they sit a point and place behind Leeds after seven games. Fulham, like a few other clubs, has struggled to find early form both home and away and languish in the bottom half of the table. A number of teams who were considered to be title and promotion favourites find themselves playing catch up to those like Preston and Sheffield United who have exceeded expectations and had good starts to the season. With twists and turns at every game-week, this promises to be an exciting season as we take a look at a few teams capable of earning promotion to the Premier League, despite poor starts to the season. Pre-season favourites for promotion, Villa are currently lingering in 18th position and have found it tough to get off to a quick start yet again this campaign. Steve Bruce has expressed his disappointment with the run of form and has called for fans to remain calm while the players gel with each other and perform better. Boasting a rich squad of old heads and young guns, theoretically, Bruce's Villa should see themselves across the line. In defence, the addition of Neil Taylor, James Chester and John Terry partnering Tommy Elphick seems like a formidable force with years of combined Premier League experience among the four. To steady the ship, the acquisition of Irish tackler Glenn Whelan to play alongside Mile Jedinak in the middle of the park will provide freedom to the likes of Robert Snodgrass on loan from West Ham, Gabby Agbonlahor and English U-21 starlet Jack Grealish to create chances going forward. 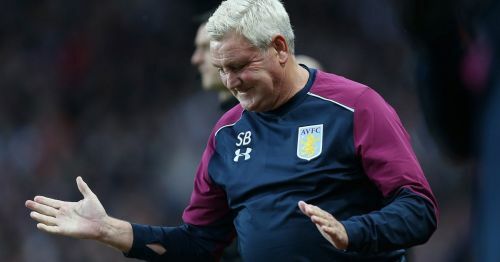 Steve Bruce once again worked his magic in the transfer window by acquiring quality footballers for great margins as he seeks to do with Villa what he's accomplished before with Hull, Wigan and Birmingham and bring the club back into the Premier League.